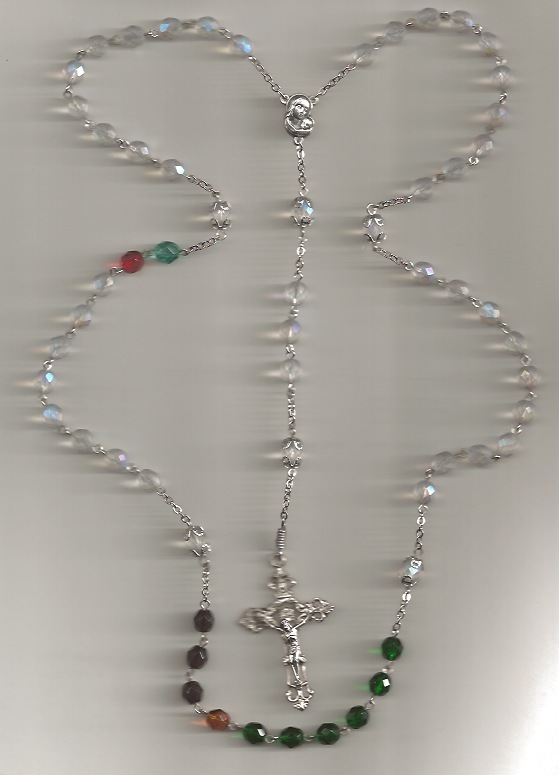 Findings: Crucifix, medal, eye pins, and chains are made of nickel silver or base metal parts (silver tone finish). The first five beads are for her birthstone color October. Decade 1 is for her - Opal - October. Decade 2 is for her husband - Opal - October. Decade 3 is for her son -Emerald - May. Decade 4 is for her daughter - Opal - October. Decade 5 is for her - Opal - October.